Eco-Kidz is an innovative, magical place where children blossom in a fun, safe, nurturing Eco-environment that has been created just for them to imagine, wonder and explore the world around them. Our curriculum is play-based and meets NAEYC (National Association for the Education of Young Children) requirements. 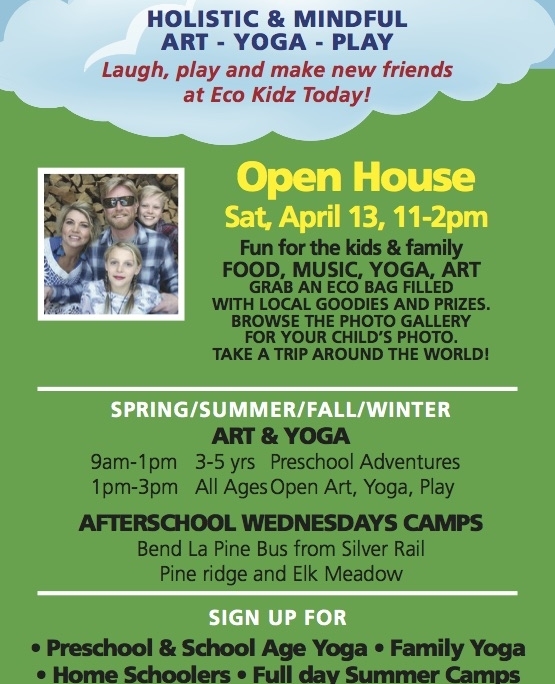 Eco Kidz also offers an environmentally-friendly and toxin-free learning space, both indoors and out. 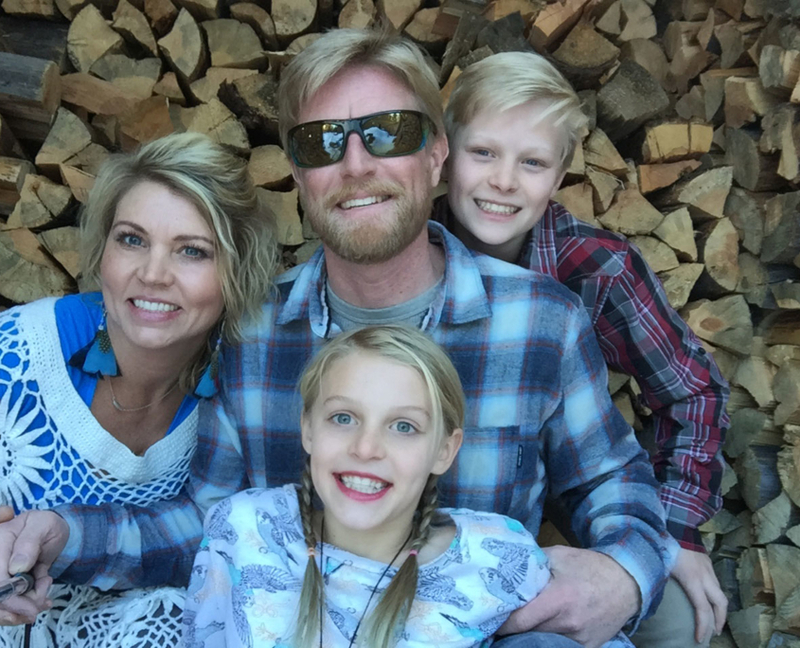 Hear more from our Bend school parents now. For openings call 541-390-0396 or email. 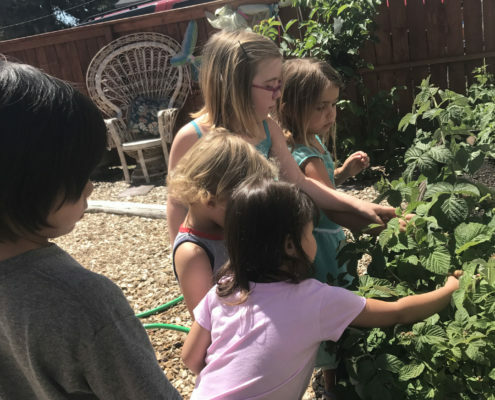 Eco Kidz participate in “hands-on” activities that develop the “whole child” and teach them to embrace both their local and global communities. Our curriculum includes a monthly theme that encourages the children to explore and learn about the natural world as well as promote their independence and creativity. The children will have the opportunity to learn: letters, numbers, shapes, social and emotional skills, as well as beginning science and social studies concepts. Art: We provide a wide array of natural art materials and prepare various art projects that are developmentally appropriate for each age group and reflect our monthly theme. Science/Cooking: Science activities include weekly cooking projects, sand and water play, exploration and discovery of the natural world, and both long and short term projects that are thoughtfully developed and specifically designed. We also often experiment with foods from around the world. Music & Dramatic Play: Our Dramatic Play Area is filled with a wide variety of materials that allow the children to use their imagination while creating stories and traveling wherever their minds will allow. Children can dress up as their favorite animal with our Furry Collection. The children learn new songs each week and love to experiment with our many musical instruments. Yoga: At the beginning of both our morning and afternoon circles the children will have a chance to participate in a mini yoga class designed especially for little ones. Yoga helps children learn how to listen to and respect their bodies. They will also enjoy learning more about animals and nature through poses that build character and strength. Reading/Writing: Our classroom is also equipped with a comfy reading area with a large variety of books. The reading material utilized in class will reflect the many cultures that are found in both our local and global community. Our writing area is set up with everything needed to be an author, illustrator, veterinarian… and the list goes on! Small Motor Area: There is a small motor area filled with toys and games that stimulate and strengthen the children’s small motor skills. Blocks, natural woods, shells and much, much, more is available to children throughout the day, enticing them to learn and grow through play! Weather permitting, we enjoy our Garden and Nature Playground two times a day. Children will have the opportunity to be Eco-responsible gardeners. We do every fun aspect of growing plants, from care-taking worms to learning how to plant Non-GMO seeds. We enjoy watering and watching flowers, vegetables, raspberries, strawberries, herbs – and our walnut tree grow! Climbing up the tree house and looking out to see Mt. Bachelor and the Three Sisters as we slide down to join our friends in building a tower of wood are just a couple of the many things we do in the Outdoor Garden / Nature area.